As a business owner, some of the most important business operations to think about and handle are warehouse operations. Your warehouse and product inventory are an extremely important part of your business and how it is run because they are closely related to customer satisfaction and business efficiency. 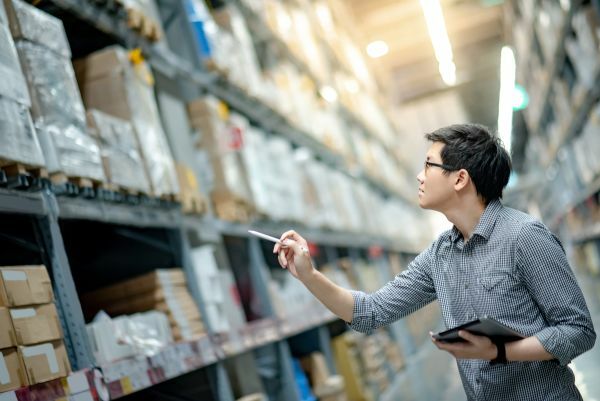 No matter what kind of business you manage, if you are selling products to consumers, chances are that you have an inventory to keep track of and manage, as well as a warehouse where everything is stored. One way to manage inventory well is to manage your warehouse, so that your operations run smoothly when shipping, receiving and storing products. Of course, when you have a large inventory, keeping your warehouse organized can be a little tricky with so many items to keep track of. With this in mind, you'll want to consider a barcode scanning solution for your warehouse operations. Not sure if this is the right option for you and your business? This post will show you how to leverage a barcode scanning solution so you can improve your warehouse operations. When your warehouse operations are tighter, more reliable, and more accurate, it can really make a positive impact on the success and growth of your business. 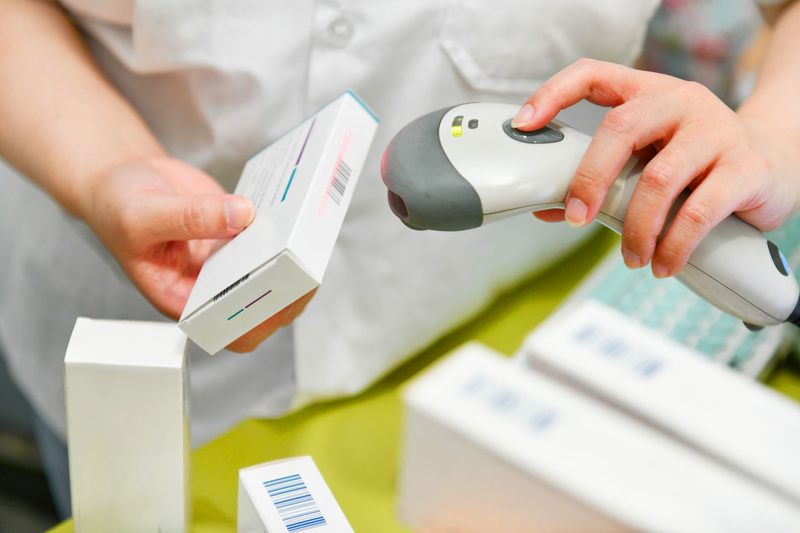 How do you know when it's time to leverage a barcode scanning solution? There are a few signs that will arise in the everyday warehouse operations that can clue you in. When your business grows, your inventory will too. This means things can get lost if you don't already have a reliable tracking system in place. Keeping track of your items can be difficult, especially when one item gets moved to a different spot without that move being recorded. When items are lost or misplaced, it can lead to ruined shipments for customers. This can result in you losing money and further sales. It is important to point out that your inventory is not "shrinking" in the traditional sense. Rather, shrinkage occurs when products are lost between the point of manufacture and purchase from your supplier and the point of sale. When items shrinkage happens, it can cost your business tons of money, a blow that may be hard to recover from no matter the size of your business. Overages, shortages, and stock-outs are a natural part of conducting business especially if your business is growing at a rapid pace. But if you find they occur more often than not, it could be time to leverage technology in your warehouse operations by implementing barcode scanning solutions. If your warehouse is working under a paper system, you have to rely heavily on printers, employees, product location, counting, and manual data entry. Paper systems rest too much on employees, which increases the risk of human error quite a bit. What's more, when you work with a paper system, you risk losing speed and accuracy rates, which can lead to bigger problems down the line. If you find warehouse operations are increasingly slow and inaccurate, it is a definite sign things need to change. As your business grows, so does your need for reliable labor. If you choose to hire more employees to do certain jobs manually (i.e. data entry), it will cost you quite a bit in payroll. Of course, there are some jobs that just are best left to human hands, but data entry—a common and important part of warehouse inventory management—is highly prone to human error. This is due to the amount of time it takes to enter data, the resources used (like spreadsheets or pen and paper), and the importance of tracking products. Allowing labor costs to increase in this scenario is actually not a smart idea because so much can go wrong. When you automate data entry, however, you save money, improve accuracy, and rarely have to worry about mistakes that can be detrimental to your business. Precise estimates on delivery times. Without access to this knowledge, your business operations can suffer in productivity, efficiency, and customer satisfaction. Warehouse operations technology can remedy this and provide real-time updates of all this important information and more. So now you know a little more about how a barcode scanning solution works wonders for accuracy and efficiency, but how exactly does this play out? The following are some of the top ways barcode scanning solutions improve warehouse operations for better business management, customer relationships and satisfaction, and fiscal success. It cannot be stressed enough how important it is for your business to have proper inventory management practices in place. Without proper inventory management, your business can fall apart and never recover. Inventory management ensures that your products move through the supply chain seamlessly so that customers are happy, sales are high, and revenue is coming in regularly. A barcode scanning solution is excellent for managing inventory because it takes each product and provides it with a barcode that is scanned into your software system so it can be both tracked and traced easily. This means you can give customers updates on their purchases, provide accurate shipment information, and keep track of a package as it travels from your warehouse or the supplier to its final destination. What's more, barcode scanning solutions can help your warehouse stay better organized because items can be tracked within the warehouse, as well. This means they can no longer get lost, inventory will no longer shrink, and you'll have accurate numbers for all products at all times. One of the drawbacks to managing a business of any size is the natural errors that can occur. When you're moving through hundreds of thousands of orders each day, it's only natural that at some point something will be missed or incorrectly packaged and shipped. Fortunately, a barcode scanning solution improves picking accuracy while also decreasing costs that come when you have to remedy a mistaken order or shipment. When a customer gets the wrong shipment, it ties up a lot of time and money to resolve the issue. With a barcode scanning solution, your chances of sending out an incorrect shipment are much lower even when using multiple channels and marketplaces. Whether you have a small warehouse, a large warehouse, or multiple warehouses, a barcode scanning solution can improve warehouse efficiency exponentially. Thanks to the inventory solution, you can locate and keep track of in-demand products in a matter of seconds. 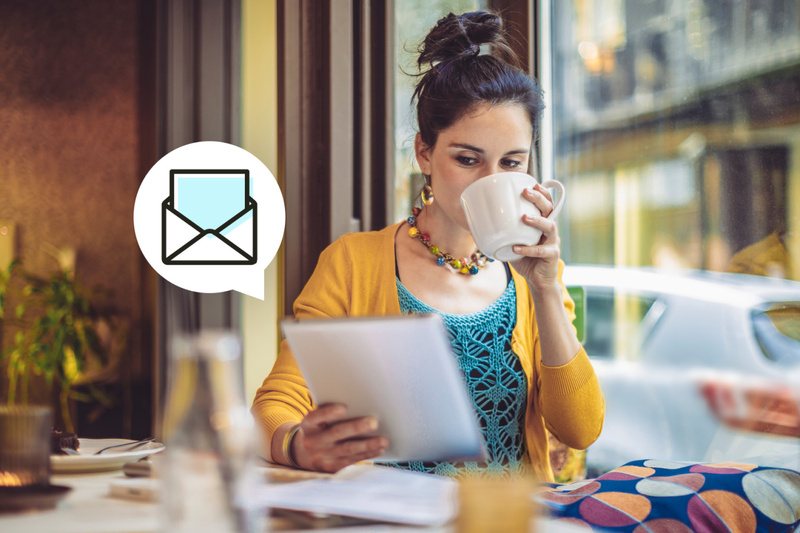 This means you can keep up with customer demand and marketing trends without ever worrying about wasting time and energy searching for them manually. When you have a warehouse with thousands of products to keep track of, quickly finding products can become a daunting task. Things can easily get lost or misplaced, which can result in slow shipments or totally wrong shipments when the wrong item is picked up. Modern barcode scanning systems can help avoid these unsavory scenarios by helping pickers find the bins and shelves where certain items are stored. With mobile barcode scanners, most small businesses tend to start by fulfilling orders one by one. This fulfillment process usually involves printing out paper pick lists for each order, using the barcode scanner to pick items for one order at a time, packing and shipping that order, then moving on to the next pick list on the printed stack.The advantage of this fulfillment process is straightforward and easy to adopt. However, simplicity comes at a major cost in fulfillment efficiency. The larger the order volume, the less helpful this approach will be. But, the principal can be expanded. As outgoing shipments grow, companies typically migrate to a batch picking process, where similar orders are grouped together in batches. With this fulfillment process, many companies leverage barcode scanners to guide the users where to go within the warehouse to locate the item and to communicate how many items they need to scan to fulfill multiple orders in a single batch. You should always be mindful of protecting your inventory. It is the lifeblood of your business. If products are lost or stolen it can cost you much more than the value of the item itself; you'll also lose time, revenue, and possibly even customers. If inventory products are lost or stolen too often, it can tarnish the reputation of your business, and can be the start of a very slippery slope. Fortunately, when you put an inventory warehouse management software in place with a barcode scanning system, you immediately increase the security and traceability of your product. Barcode technology improves security by scanning operations by each user with a timestamp, which provides complete visibility to warehouse and business managers. Higher visibility means that theft, loss, and liability are less likely while also providing a way for such problems—should they arise—to be handled quickly and efficiently. At the end of the day, knowing why and how to leverage a barcode scanning solution to improve your warehouse operations is a great step in making your business more efficient and reliable. With this kind of technology solution, you’ll start to see many positive changes in how you do business. Chinh Nguyen has more than 15 years of digital marketing experience and is responsible for the marketing and business operations at Finale Inventory. Prior to joining Finale Inventory, Chinh held marketing, business analytics, and product management leadership roles at a number of high-technology companies. You can find him on LinkedIn. A powerful checklist to help you get your team to adopt your CRM.